Back in my university days studies about authoritarian personality types were abundant and respected. Links between personality types and politics were popular topics in the anti-war (Vietnam) community and in the alternate media. The Authoritarian Personality by Theodor W. Adorno was probably the most famous study written at the time. It was an attempt to understand the Nazi regime responsible for the Holocaust and other crimes against humanity. Hiatus : A gap or interruption in space, time, or continuity; a break: An opening; an aperture; a gap; a chasm; esp., a defect in a manuscript, where some part is lost or effaced; a space where something is wanting; a break. I it was the twenty-five cent paperback and the hundreds of millions of books produced during the Paperback Revolution which transformed the reading of all kinds of literature into an undeniably mass phenomenon in the twentieth century. While it can be argued that the paperback revolution began well before 1935 and that it continues even to this day, it was during this period that books went from being a sophisticated commodity to a staple of homes and workplaces, back pockets and purses. The paperback helped democratize reading — as well as writing and publishing — around the world. 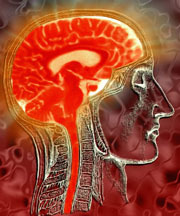 In June 2004, surgeons implanted a device containing 100 electrodes into the motor cortex of a 24-year-old quadriplegic. The pill-sized brain chip has allowed a quadriplegic man to check e-mail and play computer games using his thoughts. He can control a computer or television using his mind, even when doing other things at the same time. Researchers report for example that he could control his television while talking and moving his head. Oh boy that Goebbels. What a fun guy! Some neat stuff here about Nazi propaganda especially the speeches of Joseph Goebbels. They include one about "Radio as the Eighth Great Power", and "America, What Does It Want?" The latter describes an American press unlike any we know today. And, don't miss "The Year 2000." 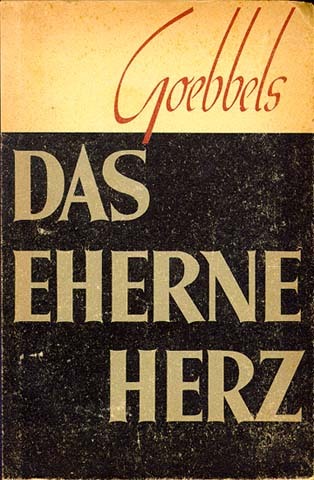 My favorite was "The Good Companion" in which Goebbels discusses German radio policy. ""We also want to speak openly about the question of whether the German radio should broadcast so-called jazz music. We can flatly reject jazz, if by it one understands a kind of music that entirely ignores or mocks melody and depends only on rhythm, and in which the rhythm is carried primarily by unpleasant sounding instrumental squawks that pain the ear. This so-called music is despicable, because it is really not music at all, rather only a talentless, random playing with tones. "" Too bad he never got to hear Miles Davis' Sketches of Spain which is based on Rodrigo's "Concerto De Aranjuez for Guitar and Orchestra and one of the most beautiful pieces of music of any sort ever. Much has been made about the lies Bush told in the days leading up to the US invasion of Iraq. Much too has been made of the lies others told in support of Bush's lies. As Al Franken's book title puts it: The Lying Liars Lied. But now, communication researchers at Cornell University confirm that we're all a bunch of liars. People lie in one-fourth of their daily social interactions they claim based on a seven day study of 30 college students who kept a record of all their social communication during that period. Among the 30 students there were 1,198 separate incidents and 310 lies. On average, participants engaged in 6.11 social communications daily and lied 1.6 times a day, meaning that about 26 percent of the reported social communications involved a lie. Most lies were told on the telephone. In fact, phone fibbing is far more likely than e-mail, instant messaging or face-to-face communication. The fewest lies were told via e-mail. The researchers speculate that fewest lies are told when conversation is recorded as it is on an e-mail. The study, Deception and Design: The Impact of Communication on Lying Behavior,” will be presented April 24-29 at the Computer-Human Interaction scientific meeting in Vienna, Austria.